This is an exciting time in the lives of architects and designers with the ability to push the envelope of contemporary architecture to new levels, stretching the imaginations of designers and artistic visionaries. Supported by a vast array of emerging technologies, modern architecture is taking on a whole new look as impressive designs are being brought to life using breakthrough building materials that were not available to our forefathers. 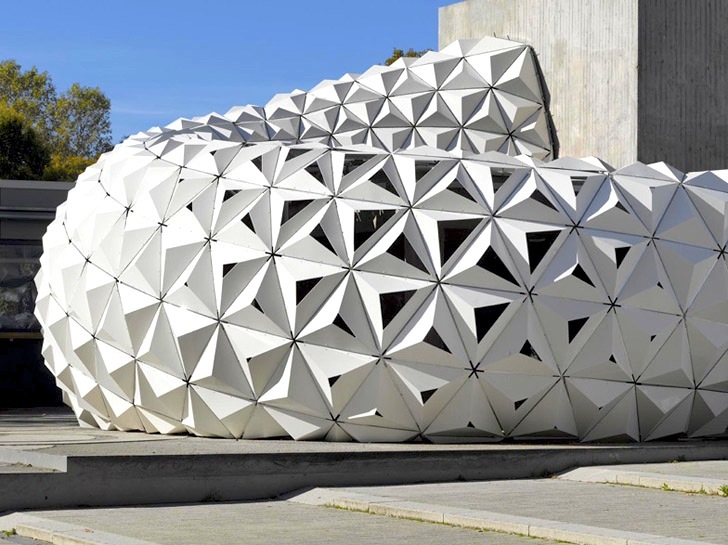 Bioplastic is causing a stir among the contemporary architecture community as an Eco-friendly alternative to traditional plastic which is a nightmare for the environment. This new revolutionary approach to polymers is manufactured using a combination of ingredients such as algae, cellulose, and marine chitins to create the biopolymers. You will be seeing it specified as structural elements and cladding in architectural structures. Cross-Laminated Timber (CLT) is changing the face of architectural designs which may have been limited to concrete and steel construction. CLT is constructed with natural wood cross-strand laminated for a sustainable building material which rivals the strength of concrete and steel while still remaining lightweight. Skyscrapers could be built using CLT as an alternative to traditional methods and C.F. 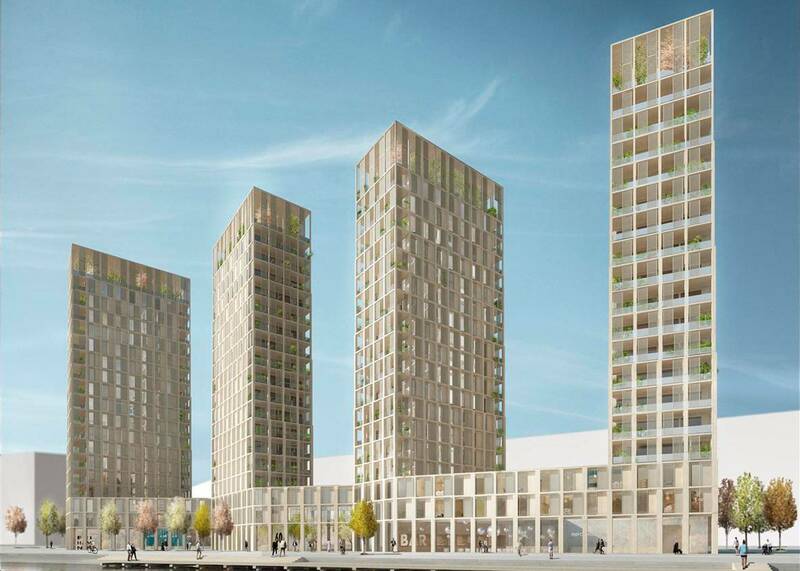 Møller is currently doing just that, by using the new hardwood CLT to build one of the tallest wood skyscrapers. Architects can now build very large structures using engineered wood building materials which are more fire-resistant than traditional wood building products. Well-known as the only way to make a warp-free large door of any size of any flat building material, the family of patented Sing Core sustainable products are finding their way into structural architectural specifications for everything from modern furniture, long-spanning tabletops, posts, and beams. Architects have built entire homes of the patented material and it can be found beneath the sea (U.S. Navy), in outer space (NASA), and everywhere in between. 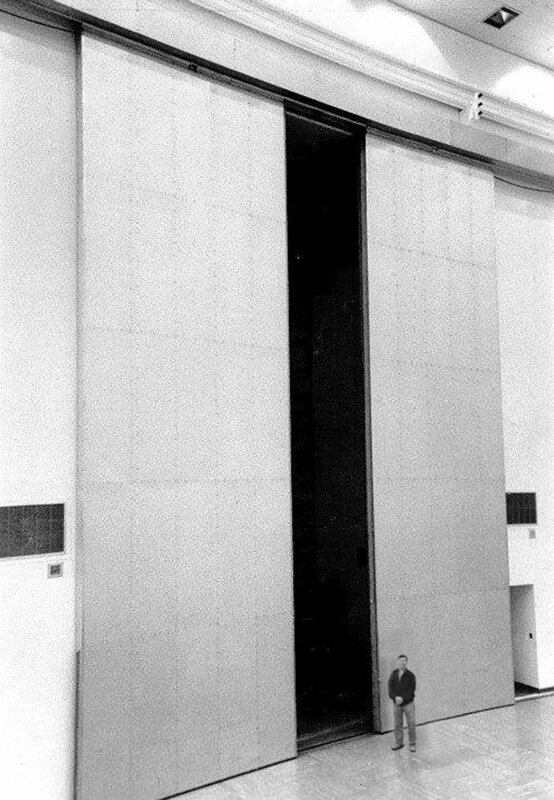 For years the contemporary architecture and architecture design communities have relied on this insulation reinforced torsion box composite substrate to build a new generation of large doors that can be guaranteed not to warp, bend, twist or otherwise fail for 50 years, even if made with natural wood grain. The trend in modern architecture is to approach architectural design from a different perspective utilizing groundbreaking technologies which seek to vastly improve the building and construction capabilities and environments for a more cost effective and Eco-friendly approach to sustainable products for green architecture and design. Patented Sing Core is creating a new array of potentials due to its properties of materials which range from lightweight to high strength without sacrificing structural integrity or high precision (+/- .006 in. tolerances). So, for the high-tech elitist, this combination of old (natural wood grain torsion box) and new (recycled rigid foam insulation) melded to create a solid substructure material that is stronger than properties of steel (660+ PSI) pound for pound. Formatted in flat panels, these incredibly lightweight reinforced SIPS are strong enough to cover long spans without the need for constant incremental support along the span. 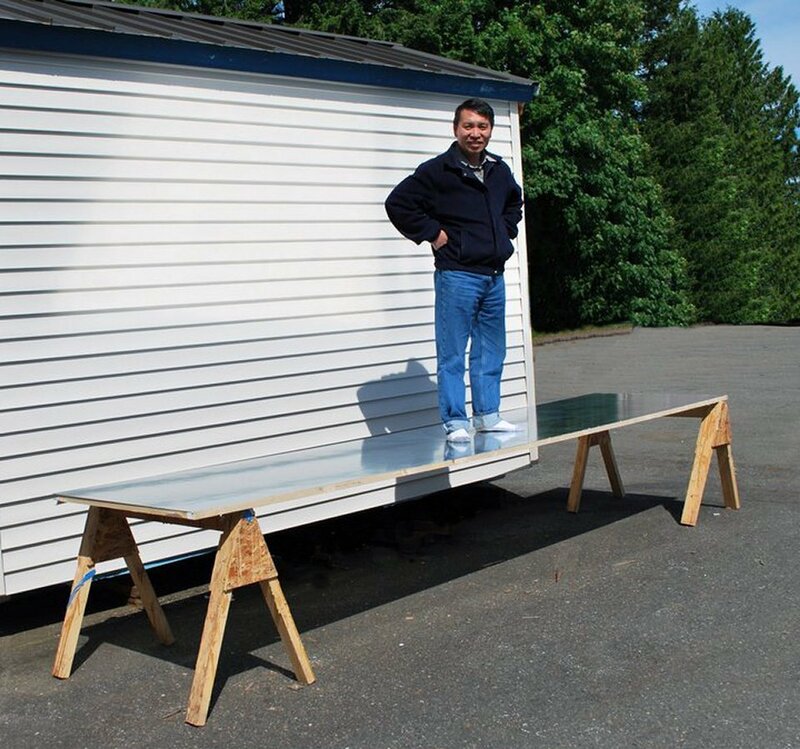 In fact, the inventor, Peter Sing, can be seen standing on a 1-inch thick 20 ft. panel with little or no deflection without any support. Compared to other composite panels, SIPS, or honeycomb panels which would have collapsed and failed at the idea of someone standing on them mid-span. Not just limited to wood facings, you will find Sing’s patented substructure core material inside hot rolled steel panels of enormous size, as well as being clad in aluminum, brass, cold rolled steel, diamond plate steel, galvanized and stainless steel, among other metals and any other flat building material including, but not limited to, any available species of natural wood stave, brick, cement, fiberglass/FRP, glass, HPL, Kevlar, LVL, MDF, just to name a few. When you begin to contemplate the possibilities of this lightweight high strength Eco-friendly building substrate sporting steel material properties, it greatly expands the vistas of contemporary architecture and design. If you’re thinking about integrating Sing’s sustainable products into your array of materials and their properties you might consider contacting www.singcore.com for more information.